Brand activation refers to the use of customer participation with a company or one of it’s products in order to build popularity. This is a useful marketing tool as customers are more likely to remember a brand if they actively engage with it. There are many ways a company can use brand activation, including events and promotional products. What makes brand activation such a key marketing tool? Linda Farrow is a luxury eye-wear maker founded in 1970 which has become one of the leading players in the market. One of the reasons behind this is their innovative marketing team. 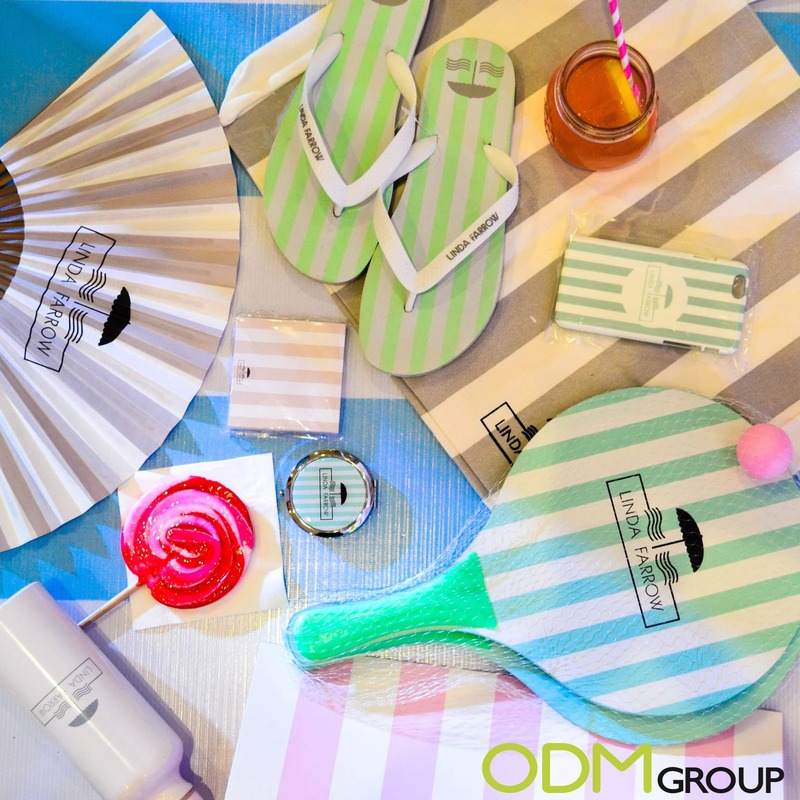 With the launch of their new Linda Farrow Summer Essentials they have decided to give out bags of beach-related freebies to increase brand activation. These products are designed to be both stylish and useful. Included are flip-flops, iPhone cases, ping pong sets, a beach ball, a water bottle and many others. As summer is coming up and people are needing these items, they’re more likely to visit the store and purchase their products. Another method that gifts with purchases (GWP) can be used, is to promote products that aren’t selling very well. This will lead to more exposure for the brand, since their logo will be visible on the gifts, as seen in the picture above. This will help to create a buzz around their new product launch. Feel free to contact us for more information to discuss any marketing campaign. Our design team, Mindsparkz, can also help you come up with new and unique ideas for promotional products.